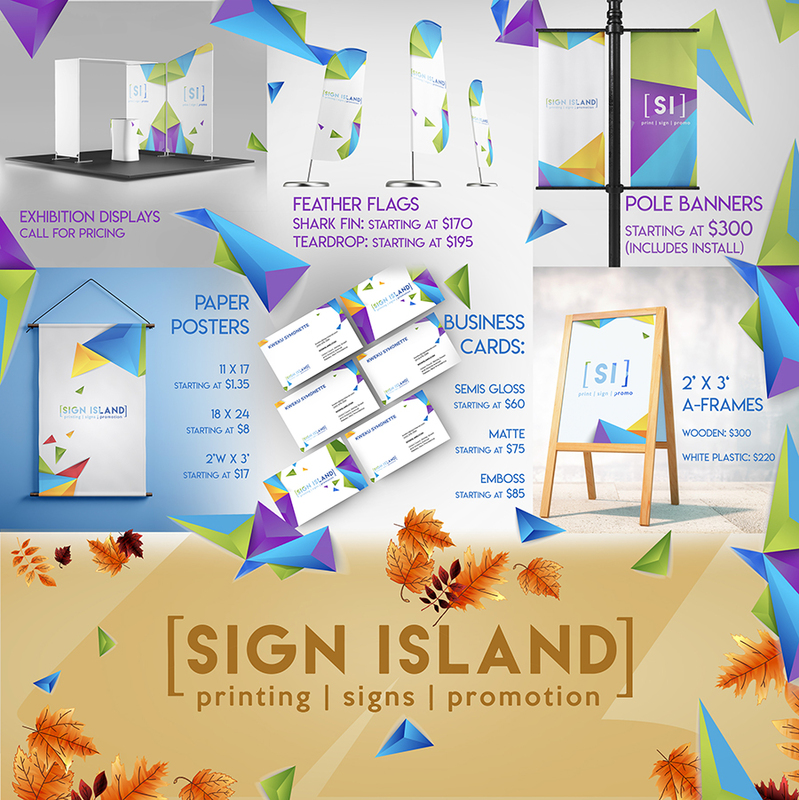 Sign Island, subsidiary of The Island Network Group of Companies, is a full-service print, sign, and marketing agency. Sign Island offers the best deals and customer service on signs, banners, posters, business cards, stationery and more. Give Sign Island a call and find out why we're simply the best option for your business. Get real-time design help, 7 days a week.